Pallagrello Bianco – is another famous white wine grape variety from Italy. Pallagrello Bianco is a famous name whenever one talks about the white wine grapes of Italy. This Italian white wine grape is majorly found and grown in the region of Campania. This grape entertains a very long history as to its origin and is considered as one of the most famous varieties of white wine grapes grown in the region. Although this grape is a much loved grape variety, the same is soon likely to meet extinction. This white wine grape variety possesses a very similar look as its sibling, Pallagrello Nero, although this grape is white and the latter is a black-skinned grape variety. Also, this grape was mistaken to be the Coda di Volpe. However, the true identity of this white wine grape came into a discovery in the 1990’s by an Italian vine grower as well as a former Italian lawyer, Peppe Mancini who has replanted this grape variety along with the Nero variant. Although the Pallagrello Bianco and Pallagrello Nero entertain similar names and origin, the former is not a color mutation of the latter grape variety. The DNA profiling of both these grapes have later confirmed this fact and has differentiated their relationship with one-another. Today, the origin of this white wine grape variety is almost exclusively in the region of Campania. To be more particular, the vines of this white wine grape variety are often seen in the province of Caserta. In this particular region, this grape wine has found a long association with its plantation and cultivation. The plantings of this white wine grape variety have been revived recently. Alongside, the plantation of this white wine grape variety can also be seen and encountered in the regions of Castel Campagnano, Volturno river, Caiazzo as well as Castel di Sasso. This white wine grape variety is being called by a number of synonyms and names such as Pallagrella Bianca, Pallarelli, Pallagrello di Avellino, Piedimontebianco as well as Pallarella. The origin of this white wine grape variety has a very long history. It is believed that in the 18th century, when the Royal House of Bourbon ruled Sicily and Naples, this grape variety became the favorite grape variety of the King Ferdinand IV. This grape was then taken into use very abundantly and was prepared into the favorite wines of the king. According to the ampelographer, this white wine grape variety is likely to be a native to Campania. To be more particular, the ampelographers have recorded that this grape variety has been originated in the province of Caserta that is located somewhere in between the communes of Alife and Piedimonte Matese. This grape variety was traditionally prepared into a straw wine. The term Pallagrello has been derived from an Italian word pagliarello that refers to a straw mat on which this grape variety was laid in order to dry it out before the process of fermentation. The very first written records of this grape variety have been dated back to the late 18th century respectively. The vines of this white wine grape variety comprises of small bunches of tiny berries. These grapes are high as to their level of sugar, but low as to their level of acid. The local growers typically dry some of these grapes in order to take them into use in their cakes and pastries because of the good qualities of these white wine grapes. The wines produced out of this white wine grape variety are considered to be rich, soft and flavorsome. These wines are believed to entertain rich aromas of peach and apricot along with the hints of honey, wax, and vanilla as well as almond when they are aged in the oak. These wines are very much full bodied and they gave an amazing succulent feel in the mouth. The wines prepared out of Pallagrello Bianco are made and marketed as IGT. 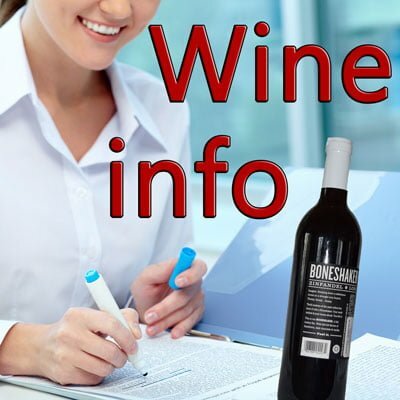 This classification is mostly used when the producers prepare the wines from the grapes that are not permitted in the higher classification of DOC as well as DOCG. All the wines produced out of this white wine grape variety taste their best when they are paired with the food items such as sautéed mushrooms along with fresh herbs, baked oysters with a ground red pepper, breadcrumb and Parmesan cheese toppings as well as fresh buffalo mozzarella.